Quick recap. Part 1 discussed the hurricane box and our plan to depart wherefrom. In Part 2, I wrote that we were planning to head for Cartagena. Now a month has passed, between that post and this one. If I would have written a Part 3, I would have explained that we changed our minds and decided to go west of Cuba, instead of east. We planned, then, to hit Isla Mujeres (an island off Cancun), go south to the Bay Islands off Honduras, and then back north a bit and into the Rio Dulce (Guatamala). In Part 4, I would have said, "Guess what, we changed our minds again!" 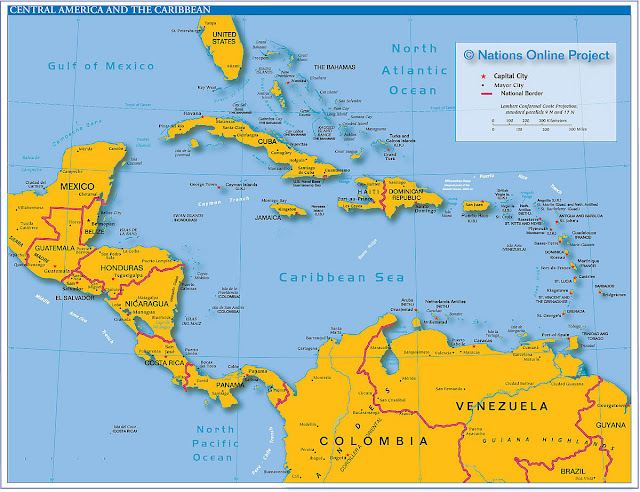 Our new new plan, then, was to give Rio Dulce a miss, but still take a route west of Cuba: Isla Mujeres, Bay Islands off Honduras, islands off Nicaragua that belong to Columbia, and then the San Blas Islands of Panama (more properly referred to as Guna Yala). So that brings us up to date and ready for Part 5. Yep, you guessed it, we're going back to our original plan: Cartagena here we come. After bobbing around in a very gray, windy Key West anchorage for several days, contemplating our new cruising life - fun, fun, fun all the time! - it came down to (1) let's take the boat back to Annapolis and let Tommy sell it for us, or (2) we've got to get on with it, for Pete's sake, and put some (nautical) miles under our keel. It pains me to admit it, but there have been a few moments over the past several days, contemplating the Broke Log and the state of our cruising kitty, when option (1) was looking pretty attractive. I'm sure I'll look back at this juncture and either laugh or cry hysterically. But for now, we're pulling ourselves together and reminding ourselves that people do this all the time with smaller cruising kitties and less worthy, less well-equipped boats... etc. It all comes down to risk management, and we've been gathering information and weighing risk. Weather, first of all. Hurricane season has officially started, although August and September have historically been the riskier months. Tell that to Debby, already the fourth named storm and it's not even July yet. So we definitely want to get out of the Keys. We started thinking that heading for Rio Dulce would be the fastest, least risky way to get out of the hurricane box. Sailing west of Cuba, we would avoid the big seas and wind that are common north of Colombia, and our passage would be shorter. A shorter passage means there would be a smaller risk that the weather would get out of hand while we're on our way. This is important because we can't get our SSB working, so we can't count on updated weather forecasts while we're on passage. But then we started learning about the violent crime rate in Guatamala. It's fearsome. It's so bad in the Rio Dulce that most cruisers don't anchor out in the river - they park themselves in marinas with barbed wire and armed security guards. There is a sizable ex-pat community in the Rio Dulce, and they might say it's no worse there than anywhere else - but as far as we can determine, sheer numbers prove them wrong. The most troubling thing about Guatamala is that its justice system seems quite non-functional, so criminals operate with impunity. So, our thinking progressed: still west of Cuba, but instead of stopping in Rio Dulce, maybe we should proceed to Guna Yala? Again, though, the weather comes into play. We have learned, from many sources, that we should expect an unremitting slog, all the way from Isla Mujeres to Panama. Most sailboats motor all the way, against the current. Seas are on the nose. That ain't right. 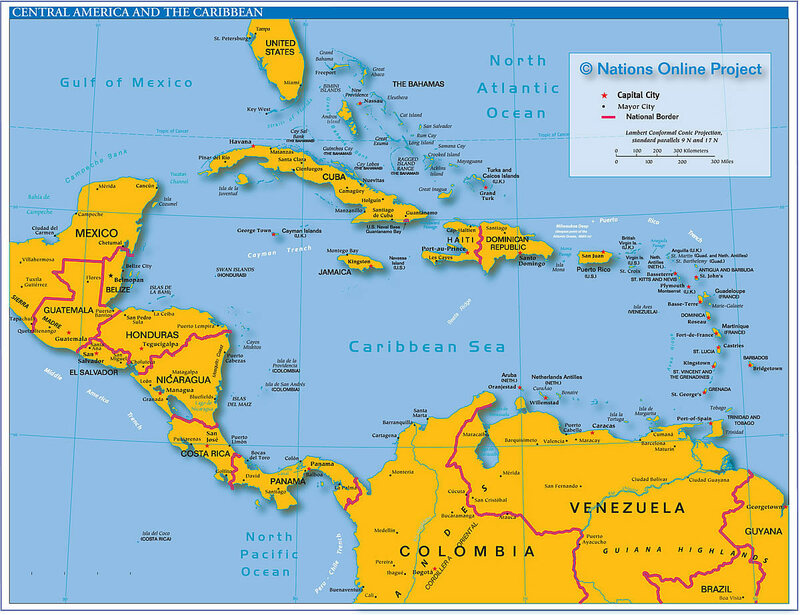 It is a well-known tenet of Caribbean cruising that traveling counter-clockwise is a Bad Idea. It is Against Nature. And thus we return to our original plan, to head for Colombia. We've got what looks to be some good wind for the next few days, so we're thinking we might leave tomorrow (Tuesday) afternoon. Since the wind is forecast to be southerly, we'll focus first on our easterly progress, and turn south when the winds turn east, closer to Great Inagua. This plan means we'll be on the Great Bahama Bank (risk of running aground, into rocks and reefs and whatnot; but able to toss out an anchor at any moment, and out of the shipping channel, so less risk of getting run over by a big ship). We will stop at Great Inagua, where we will have access to weather forecasting, and we can wait until we have a good window for our passage to Colombia. We'll see how it goes. For the sake of my worrying mother (Hi, Mom! ), we have a SPOT, which allows us to report our progress back to the world we have left in our wake. I welcome you, friends, to follow along just like Mom. Easy peasy, because we will post the SPOT updates to our facebook page. What? - you haven't yet "liked" us on facebook? How could it be so? Due to Ean's Excellent Web Design, don't you have about nineteen different avenues by which to end up on our facebook page, poised to click the magic "like" button? Never mind. Click here: MOREJOY4ALL, click on "like," and the SPOT updates will appear in your newsfeed.